When will be Celebrity Fit Club (US) next episode air date? Is Celebrity Fit Club (US) renewed or cancelled? Where to countdown Celebrity Fit Club (US) air dates? Is Celebrity Fit Club (US) worth watching? 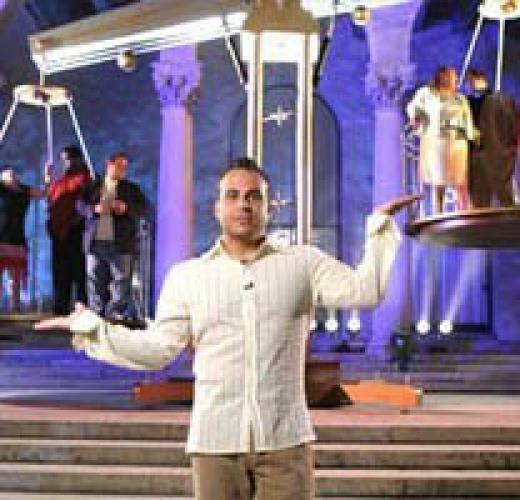 VH1's Celebrity Fit Club, hosted by comedian Ant, is one unique reality series. Simply by signing up, our participants are making a statement to the world that they have a problem and they need help to overcome it. They'll be aiming to shed pounds, but they'll also have to shed their inhibitions. On this show you will see these celebrities revealed as never before. It's a simple concept: Eight overweight stars are divided into two teams and challenged to get fit and lose weight over a 14 week period. This show is about much more than diet and exercise. It's about vanity, rivalry and self discovery. It's an emotional show but it's often funny and never downbeat. There will be tears, there will be tantrums, there will be breakdowns, but the abiding tone is positive and life enhancing. All the celebrities will emerge from this show as changed people and, as viewers, we will have been privileged to see that change happening before our eyes. Each week the celebrities will be summoned to our purpose-designed Fit Camp, where they'll face challenges ranging from belly dancing to ballet, from synchronised swimming to limbo. Also they will face the music on the loneliest walk in television as they find out whether they have lost weight or gained it: And they'll face the consequences from our panel of MD, psychotherapist and drill instructor. EpisoDate.com is your TV show guide to Countdown Celebrity Fit Club (US) Episode Air Dates and to stay in touch with Celebrity Fit Club (US) next episode Air Date and your others favorite TV Shows. Add the shows you like to a "Watchlist" and let the site take it from there.